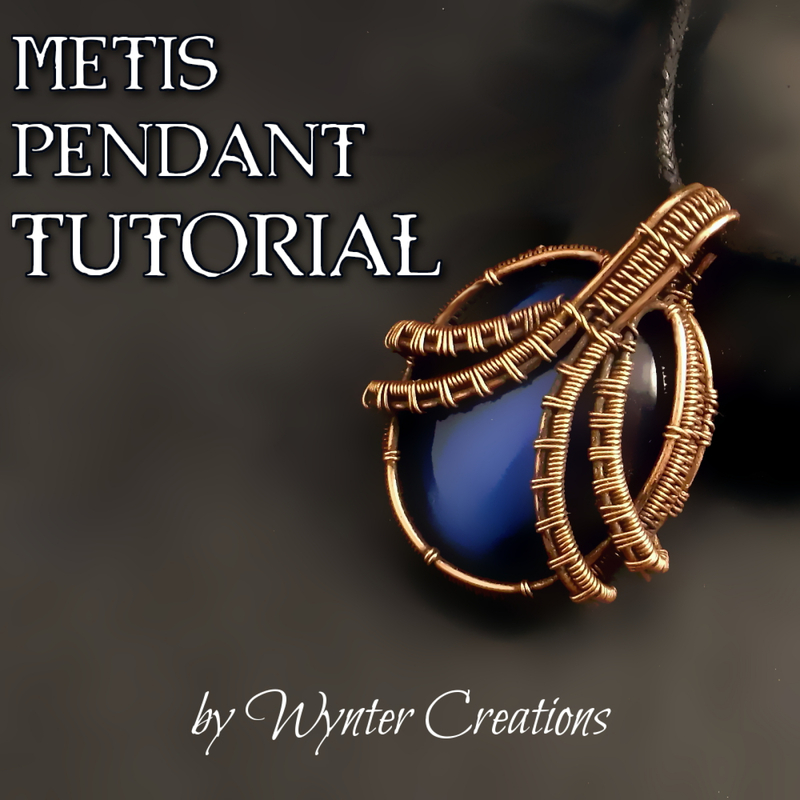 Learn to create a striking unisex pendant using simple wire-weaving techniques with this tutorial from Wynter Creations. With 26 pages and over 65 full-color photos, this tutorial takes you through the design step-by-stp from start to finish. You'll receive the tutorial in the form of a .pdf digital download file. The instructions in this tutorial create one pendant, about 3.5 cm long and 2.5 cm across. This is an advanced-beginner level tutorial. While it may not be appropriate for a very first wire-work project, all of the techniques used are fairly easy and explained in detail. Please note that this purchase is for the tutorial only, and does not include materials, tools, or finished jewelry. You may sell pieces made using this tutorial, with design credit given to Wynter Creations. You may not copy or reproduce the tutorial without express permission of Wynter Creations and Anna Moore Roberts.